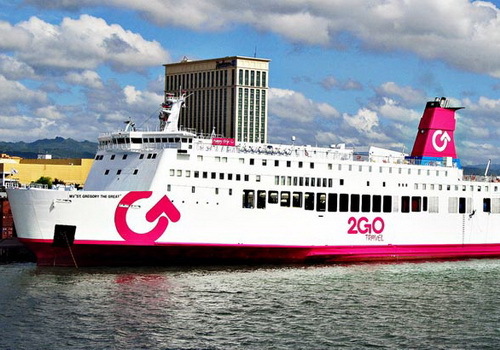 2GO Group Inc. plans to develop its own e-commerce platform. 2GO Chairman Dennis Uy said the company is currently serving external customers and the company also wants to develop its own e-commerce business that has grown rapidly in recent years and has shifted some of the traditional retail market share in the Philippines. The logistics company based in Metro Manila said it would build its own e-commerce business that has strong resources to participate in the competition. Uy at the company's annual shareholders' meeting last week said 2GO is running a strong growth. Uy said 2GO offers an integrated supply platform with 24 fleet ships, serving 4.3 billion passengers and transferring 329,000 TEUs annually. Bright prospects of the country's economy will result in an increasingly brighter 2GO prospects. "The e-commerce section, we have delegated to SMIC.They have a store format. We work very well with them. We serve external customers, but we do not have it. We are developing it ourselves," said Uy. The majority of 2GO Group shares are owned by Uy's Chelsea Logistics and SM Investments Corp (SMIC) and both have searched for how 2GO can become an e-commerce platform. SMIC vice chairman Teresita Sy-Coson said it would review the move forward. "That's something we're still learning," said Sy-Coson. The booming e-commerce business has become a threat to offline and traditional stores. Now many are setting up their own online business platform. Sy-Coson said any further expansion, the logistics field will be done through 2GO. "So far, it's okay, the old management has done well, it's not much of a distraction. We're going to look into the future. There are many people who say logistics is the business of the future, but we do not know yet. We're here soon to learn," says Sy-Coson.